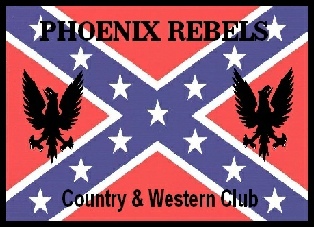 We are the PHOENIX REBELS a group of westerner's trying to keep the old western club going, we've been together since June 2000. Our name PHOENIX REBELS is from the mythical bird the phoenix who is said to have Risen From The Ashes, which is what we have done. On June 17th 2019 we will have been together 19 years. Originally we were the Riverside Rebels at Southport, but due to unforeseen changes we had to have a complete change of name and venue. We started at Hesketh Bank Bowling Club for a couple of years & now at the Western Frontier. Today we are a very successful country & western club. A friendly western club that welcomes everyone.